Sure there are apps out there for iOS that allow you to peek into your iPhone or iPad’s battery details in real time complete with capacity left, battery temperature and other purposeful stats. 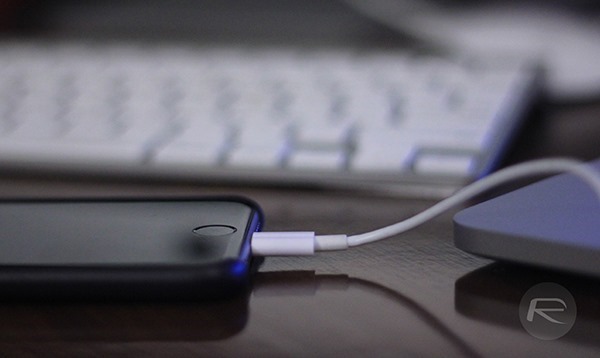 However, peeking into the app itself is not always the most sound method of quickly checking exactly how much charge in actually capacity is left. 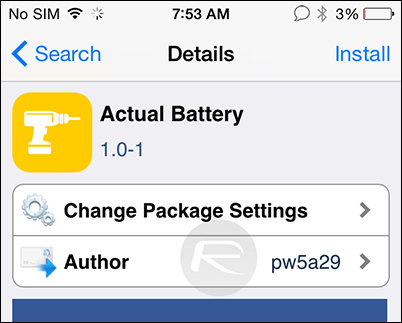 This handy little Cydia tweak called ‘Actual Battery’ will show the real battery percentage measure on your iPhone’s status bar, instead of using Apple’s own algorithm which shows the expected battery percentage remaining on your device based on your usage. The tweak is pretty straightforward and has no fancy tricks up its sleeve, with nothing for you to configure at your end. Users however get access to a kill switch through the Settings app, and that is as far as you can go with actually interacting with the tweak. Quite honestly, a more ‘accurate’ battery reading might not be every user’s cup of tea, but it will help you determine, in a lot of cases, if your battery is performing well in real time or not. There are a bunch of other Cydia tweaks out there as well that will tinker with your battery details and display all that information that would pretty much leave you stumped, especially if you’re not into these tricks. 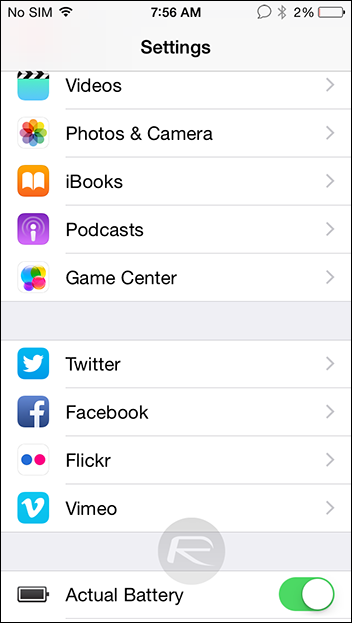 However, Actual Battery is one tweak that is trouble free for even the most novice of iOS users who just happened to have their iPhone jailbroken by a friend. No advanced setting to configure, no fuss and to the point, this nifty little tweak is free, and can be grabbed from the ModMyi repo at Cydia.